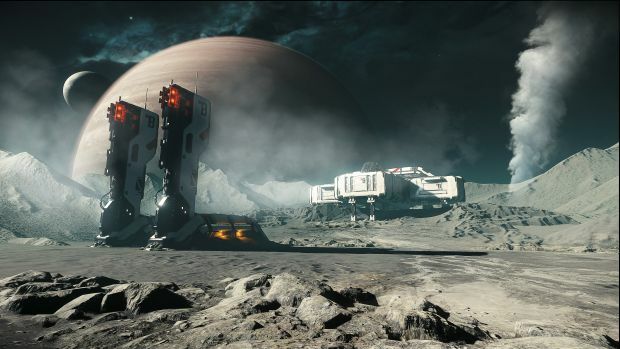 Star Citizen’s alpha 3.2 version has now been released to backers of the game. As part of the regular quarterly updates for the game, there have been quite a few changes and additions to the game for players to be excited about. We also get to learn some information regarding the release date for the game’s single-player campaign Squadron 42. The most important aspect of this new update is that it brings mining gameplay, which will allow players to find and scan deposits, and then extract ore from the rock to sell it. Additionally, players can now use quantum travel to travel as a party and a new group system has also been added. Furthermore, a number of new ships have been added, and this includes Aopoa Blade, Anvil Hurricane, Origin 600i, and the Aegis Eclipse. New weapons and armour have also been added to the game, along with a new type of mission which require players to destroy a probe. In a new episode of Reverse The Verse Live, the game’s director Chris Roberts confirmed that the single-player campaign Squadron 42 will not be released this year. Hopefully, we’ll get to know more about when the game will release soon enough. You can check out the videos below for more information about the recent updates.